We welcome all and make every endeavour to meet guests needs. Just send via our contact form on this web siteto discuss any individual requirements. Below you will find information on How to Use the Hot Tub and Property Information. I should like to reassure guests this is a professionally run establishment of some 20 years in business complying with regulations pertaining to Business Public Liability Insurance, Fire, Health and Safety, Food Safety, Hot Tub HSE Safety Guidelines in place, PAT testing. Secure web site. Book with me with confidence. East Devon Council Environmental Inspection Certification Grade 5 covering Hot Tubs. Information about your own Hot Tub and how to use it can be found below. 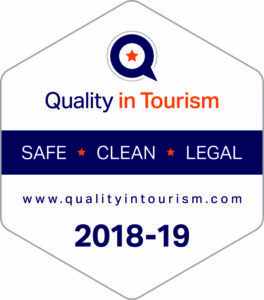 I hope guests will be reassured to learn that Hedgehog Corner with it’s two self catering properties has just been accredited as “Safe Clean and Legal” 2019 from the inspector with Quality in Tourism. This a detailed property inspection to ensure I provide the correct insurance, H&S, Hot Tub Safety, fire safety protection, and electrical certifications plus a high standard of cleanliness for my guests. 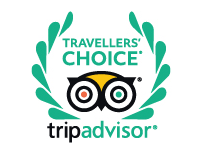 With so many self catering properties springing up in popular areas I am delighted to receive this accreditation that is reviewed annually. Full information is in both The Retreat and Acorns with a Health & Safety Sign next to each Tub. Use Hot Tub at your own Risk. Heated at a constant 38c. Please wear swimwear. Tub towels and plastic slip on sandals provided. Please no smoking when in Hot Tub. On a sunny day the sun will reflect off the water – causing sun burn. Use huge 2.7m x 2.7m patio cantilever umbrella provided. HOT TUBS: 3 small steps to get in (80cm high and 200cm wide). Contact Joy for more information. Guests are advised to grip side of Hot Tub and move slowly when getting in and out of Tub. We check the sanitisation of the Hot Tubs on a daily/twice daily basis (without disturbing guests). One of the choice of light sequences in the Hot Tub is “Disco” flashing lights. In emergency switch off at main switch on wall. To remove cover lift one half up and back over with handle first then slide into Tub Lifter and tilt lifter upward – picture guide in Hot Tub Towel Plastic Box with each property. In Retreat by door. In Acorns in bedroom. Limit your soak to 15 minutes and cool off before re entry. Excessive prolonged soaking will induce dizzy spells, dehydration and other medical issues. Pause between pressing the Hot Tub buttons or you will kick in another filter cycle. The Hot Tub filters twice a day. You may get out of the Hot Tub & turn the “bubbles” grey knobs off & it still “filters”. The Hot Tub regulates itself to the set temperature of 38c. Do not increase heat..
You may turn temperature down – but remember it takes an hour to reheat every 2c. Fortunately we now carry a fully operational spare Hot Tub near your property in the owners garden. Assistance dogs i.e. guide and hearing dogs most welcome. Telephone: 07771 655526 (9a.m. – 7p.m. please). email: info@hedgehogcorner.co.uk. Prior phone calls, emails or visits for inspection welcomed. Video of accommodation on this web site. Detailed information on local services given on booking: Nearest train station Axminster (approx. 2 miles away). Bus X51 & X53 from Axminster station to top of our road (approx 500 meters walk, no pavement, no street lights). Taxi numbers available on web site & at properties. Approx. 5 minutes taxi ride. Google map on web site. No collection service provided by us is available as this would contravene local council guidelines as we are not a licensed taxi firm. Key Safe Box Code – emailed to you 6 & 2 days prior arrival. Bring it with you! Blue Badge parking and radar toilets in local towns of Axminster, Lyme Regis, Charmouth, Seaton and Beer. Further information available on arrival. Non smoking inside of properties. Plenty of on-site, well-lit and signed private car parking. Drive is on a slight slope. Level drop off point at front door for Acorns (Notify in advance so gates are open for guests and space reserved by front door if required). Large cars may wish to use Main Car Park at top of drive. Tarmac driveway and advisory signs for those with leather soled shoes. Speed calming bump on driveway, no barriers. Contact phone numbers displayed in porch. Sorry we cannot accommodate your pets or accompanying children under 16 years of age. Clear signage in place on the road and property for arrivals, roadside house name, parking and reception. Route from car park to entrance on slight slope. Well lit with sensor lights. Emergency Torch at Retreat entrance Gate and in Main Reception Porch. Steps to Retreat and Acorns are easy risers. Retreat has approx 10 steps, Acorns 3. Late arrivals by prior notice. Key safe is sent in advance to you by phone, text and or e mail. Bring key safe code with you! If you are an ORANGE/BLUE BADGE holder and are in receipt of one of the following you may apply for a temporary parking permit in Lyme Regis from their TIC. This will entitle you to 3 hours of free parking in any car-parking bay in all WEST DORSET DISTRICT COUNCIL car parks. Your disabled clock and badge must be displayed. 1. Higher Mobility Allowance of the DLA, 2 High Rate Attendance Allowance if over (65) and incapable of walking more than 30 metres (written statement required) 4. War Pensions Mobility Supplement. Please ensure you are able to provide copy of your orange/blue badge and proof you are in receipt of one of the above allowances. If you are not in receipt of any of the above then regrettably you will not be entitled to a temporary parking permit and will have to pay and display in an ordinary car-parking bay. Key with tab and mobile contact number in KEY SAFE BOX on arrival. Level ground floor accommodation and flooring in Retreat & Acorns. Provision for service dogs, water bowl, exercise area, bedding, tinned dog food. No grab rails in public areas. Acorns & Retreat exclusively for adults. All guests requiring wet clothes to be dried are catered for with washer driers and airer in each property. Walkers can wash and dry boots overnight. Public water taps in car park. Towels are washed here with bio eco products. Sheets are sent out to the laundry. No bedrooms are suitable for wheel chair use. TVs have Freeview and Teletext. Bedding: non feather provided with full linen and towels. Retreat King bed also has a feather topper which can easily be removed before arrival. Acorns Tempura Memory Foam mattress. Brass double bed. Iron and board provided: Hair drier, torch and walking hi-vis jackets. Heating Radiators with thermostatic controls, electric fan heater and cooling fan. Pet free. (Owner has small pet dog in private accommodation that is kept away from all guests at all times). Nomite® all our bedding ensures that even allergy sufferers can use our down and feather bedding products, because the tight weave of the fabric casing acts as a barrier to dust mites. So even those who suffer from house dust allergies or asthma can enjoy the comfort of our natural bedding products. Downafresh® all our bedding is a guarantee that the down and feather fillings comply with the most strict hygiene requirements, are subject to audited tracability, and comply with all laws and regulations relating to animal welfare and ethics, as well as ensuring that all fillings are regularly tested to ensure compliance. Floor surfaces – vinyl laminate and tiled. Taps are lever. Just ask for detailed information. Slipper bath in Acorns has no handles on side of bath. Large shower cubicles in Acorns & Retreat. Underfloor heating in Retreat shower room. Laid to lawn with surrounding flower beds. Each property has a summer parasol with hand winder & cover with easy to replace “pole” to assist. Each property has summer outdoor cushions for the garden chairs. Each property has a summer garden bistro table set & 2 easy chairs. Gardens: level access and step access. Use of field for walking. Security cameras around perimeter of estate. Car access to field or walking. STEPS: 10 to Retreat, 3 to Acorns. Easy risers. Evacuation procedures on information sheet in room. Assembly point marked in car park. Full fire emergency lighting in place and fire extinguishers. Staff have attended ‘Welcome All’ courses and courses in Customer Service, Food Safety, Fire Safety and Health & Safety. Non smoking policy throughout inside of properties. We do not have background music. Staff on hand to assist with contact numbers in rooms and public areas inside and outside of property. Enclosed garden at Retreat. Enclosed Terrace at Acorns. Fire Safety – For your peace of mind we comply with the Fire Safety Order of 2005 – which is now pertinent to all Guest Accommodations – which includes smoke, heat, carbon alarms, annually checked fire extinguishers (owner trained to use) and annual PAT testing with regular servicing inspections of all appliances. Or just phone for a chat to see if we can meet your requirements. Assistance dogs i.e. guide and hearing dogs most welcome. To endeavour to welcome all and make and add improvements and equipment whenever and wherever possible as the opportunities arise. If you have any comments please get in touch.